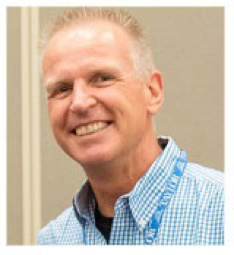 Resignation of Norm Poehlke – North American Baptists, Inc.
After ten years of service in the NAB International Office, Norm Poehlke has announced his resignation as vice president of Ministry Outreach. Norm has specifically sensed that God is drawing him and Melissa back to pastoral ministry in the local church. Norm will be returning to the Lower Mainland area of British Columbia to be nearer to family, especially his children, grandchildren, and aging mother. We celebrate what God has done through Norm in the NAB and pray for his transition back to local church ministry. Over the last number of months, Norm and I have talked frequently about his sense of God’s leading. Norm has served NAB so faithfully, and though he will transition later this spring, he is committed to finishing well. While all of his next steps are not yet secured, he believes this is the best time for a return to Canada and is confident that the NAB areas he currently oversees—especially international missions—are well positioned to continue strongly in a transitionary time. Norm and Melissa will be joining us for Triennial, where we will celebrate their wonderful service to the NAB family. I have great faith in our God and I believe He will walk closely with us through this next season. Since I have previously served as the VP of International Missions, I have an intimate understanding of the department’s needs and am familiar with the current missionaries and fields, and I believe we are in a solid position to transition well. I have had healthy conversations with the executive team, and we are positive about the plan for international missions in the NAB. Please continue to keep Norm and Melissa, the International Office, and the entire conference in your prayers during this time. Look for ongoing updates in the coming weeks and months as we discern God’s next steps in this journey.